Rebuiltstuff: Look What I have! I was going through Kijiji as is my habit, when I came accross an add for a "storage hutch". The picture was dark, but the piece looked interesting. When I arrived to pick up the "hutch" the previous owner advised me that the top part split, but she had never opened it because she had no key. 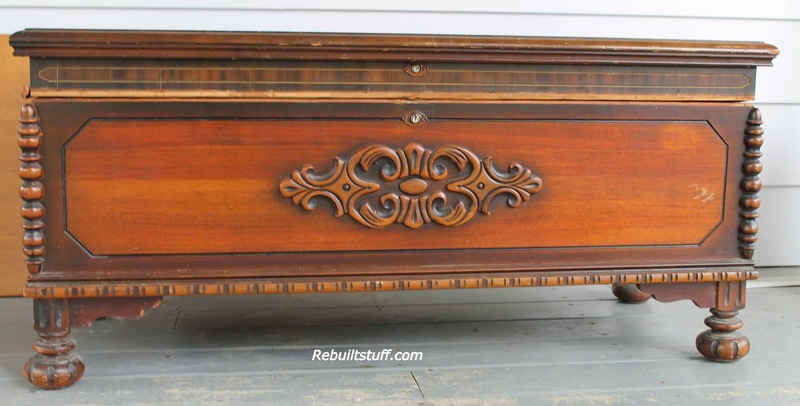 This Knechtel Cedar chest has 2 key locks as there are 2 "lids"
The top compartment looks like it was designed for hankies, and lighter linens. The lids lock together and both open to show the larger bottom storage area. Some of the trim had been pulled off, but it was tucked safely inside. I see this cedar chest in a soft white. I am going to upholster the top so it can do double duty as a bench. 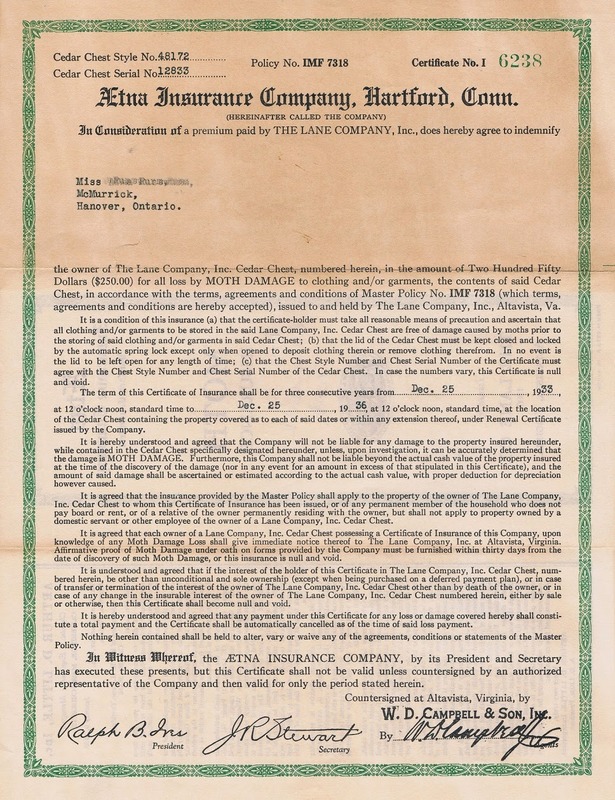 It even has the original Moth Insurance from Aetna Insurance Company! linens. When you lower the lid, it locks onto this section. the larger bottom storage area. December 25, 1933-Maybe this was a Christmas Gift!